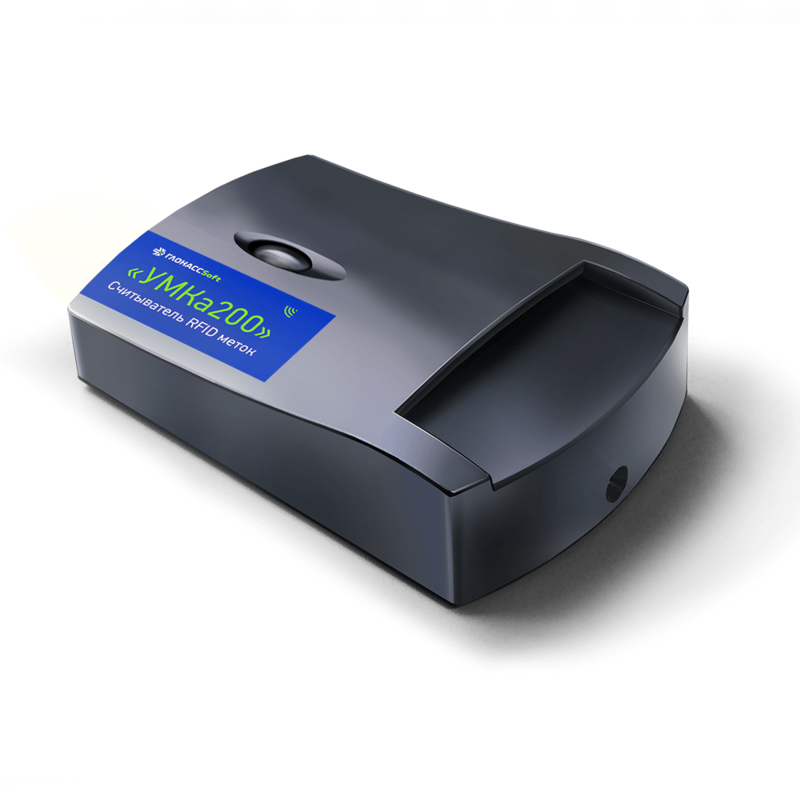 The manufacturer of RFID-reader UMKa200 is GLONASSsoft. RFID reader UMKa200 is used to identify stationary and mobile objects of monitoring, control of equipment and actions of employees, work time accounting and write-off of materials via auxiliary devices. The reader captures the signal from RFID cards or fobs at distances up to 5 cm, while RFID tags - up to 100 m. Using the RS485 interface, it is possible to determine the identifier of the Mifare and Em Marin tags, identifier, temperature, motion sign or magnet field presence, UMKa100 level battery voltage. The device is used both in conjunction with UMKa301 terminals and with other monitoring devices, or independently. Simultaneous operation in all ranges. Compatibility with a wide range of devices (including other manufacturers). Technical support from the device developer.